Adrian Clarke looks at tactical battles set to take place in Matchweek 12. Is James Milner one of the greatest free transfers in Premier League history? Liverpool manager Jurgen Klopp would probably not disagree. 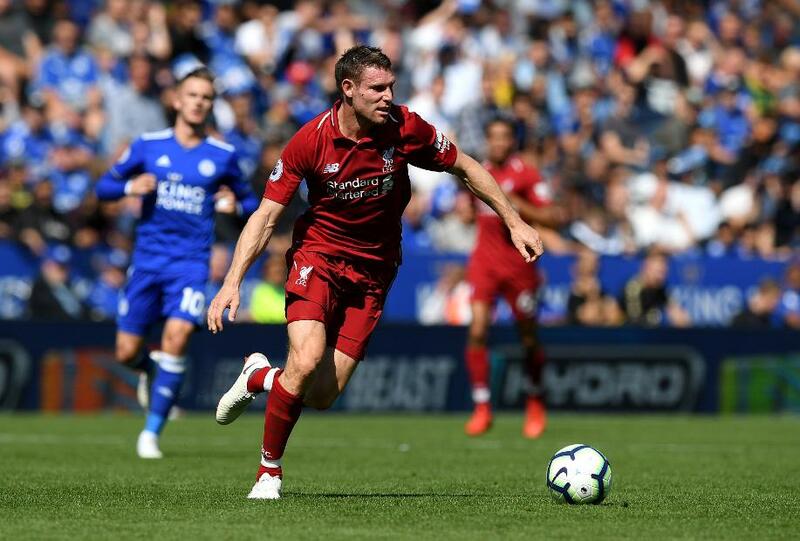 Since arriving from Manchester City in the summer of 2015, Milner has been a highly effective winger, full-back, holding midfielder and box-to-box player. A reliable and increasingly prominent player, Milner's importance to Klopp has never been greater than it is now. No one covers more ground per 90 minutes than the 32-year-old, not just within Liverpool's line-up but in the Premier League as a whole. Able to play at a fast tempo that can wear down his younger midfield adversaries, Milner is a remarkably busy worker. His energy fits Klopp's philosophy perfectly and helps Liverpool produce the type of football the German demands. Milner's high workrate will pose a challenge for Fulham's central midfielders on Sunday. In his last two PL starts he has averaged an impressive speed of 8.1km/h. Worryingly for Fulham manager Slavisa Jokanovic, his midfielders can labour physically. They rarely cover more than 11km per 90 on average and at Huddersfield Town on Monday the Fulham starting trio of Jean Michael Seri (6.79km/h), Andre-Frank Zambo Anguissa (6.55km/h) and Tom Cairney (6.44km/h) all operated far slower than Milner's average. To compete with Milner and his team-mates, Fulham's midfield must push themselves harder. As the table above shows, there is no sign that Milner's contributions are decreasing. If anything he is improving with age. Off the ball he continues to use his fitness and experience to great effect, popping up all over the middle third to win the ball back. Bettering his stats from previous campaigns, the versatile operator has won the joint-most interceptions for Liverpool this season, as well as the second-most tackles and the third-most duels. Milner is also the Reds' best set-piece taker, creating 10 chances from dead-ball deliveries, including an assist. Overall, his 15 key passes in 2018/19 rank him second only to Mohamed Salah at Liverpool, further outlining his importance. If there is one criticism of Klopp's midfield it is a slight lack of creativity. None of Liverpool's central midfielders have produced more than five chances from open play this term. But, of that group, Milner is the most progressive in possession. Left-back Andrew Robertson is the only Liverpool man to succeed with a greater number of forward passes. Milner's first instinct is to always find an advanced full-back or a forward. His value to Klopp's side remains considerable and he is surely one of the first picks when the German is selecting his strongest XI.